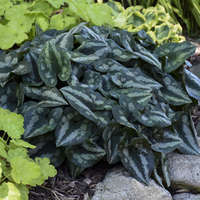 Athyrium 'Ghost' | Walters Gardens, Inc. 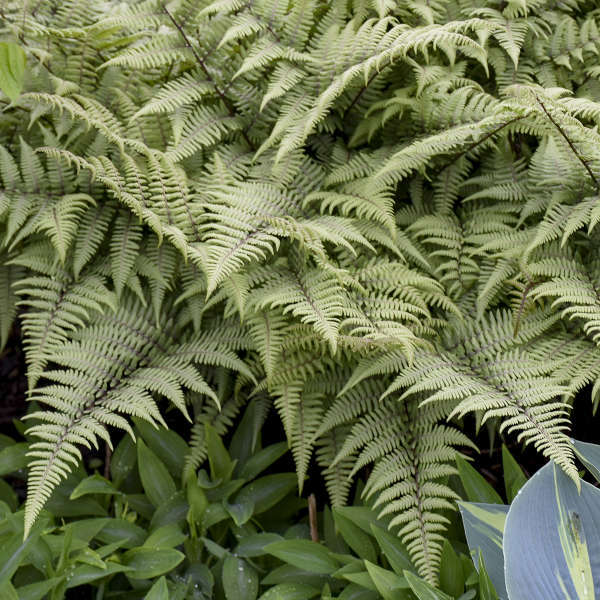 Ferns can be sensitive to high salt levels and may become scorched or experience root injury. Apply 50-75 ppm nitrates delivered through a water soluble fertilizer with every irrigation. 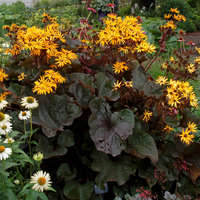 Time release fertilizers incorporated in planting media should be about half of that used with most other perennials. Top-dressing with controlled release fertilizer on the soil surface should be done at low rates, as recommended on label. Nemetodes, aphids, whiteflies, and fern moth caterpillar in greenhouse; thrips, scales, mealybugs, black vine weevil, fern snail (Deroceras), armyworms, Japanese beetle, crickets, grasshoppers, caterpillars in the field. Botrytis blight, leaf spots, sooty mold(indoors or South), rusts, damping-off(of prothalli), foliar Rhizoctonia, Pythium. 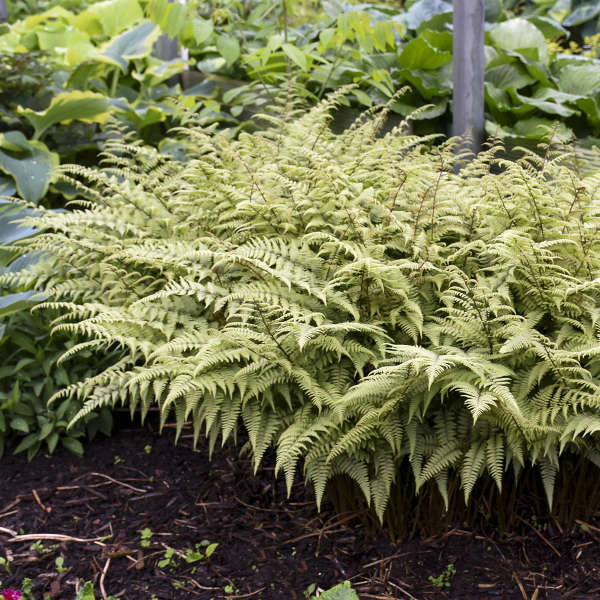 Plant ferns in a well drained media that consists of pine bark and peat. 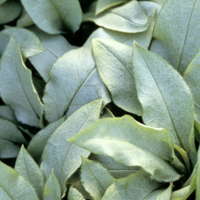 Avoid 100 percent bark as it will require too much overhead watering. It can be beneficial to apply a preventative fungicide drench of Cleary's 3336, OHP 6672, or FungoFlo after planting. Good irrigation practices are important. From the time they are planted until they are shipped. 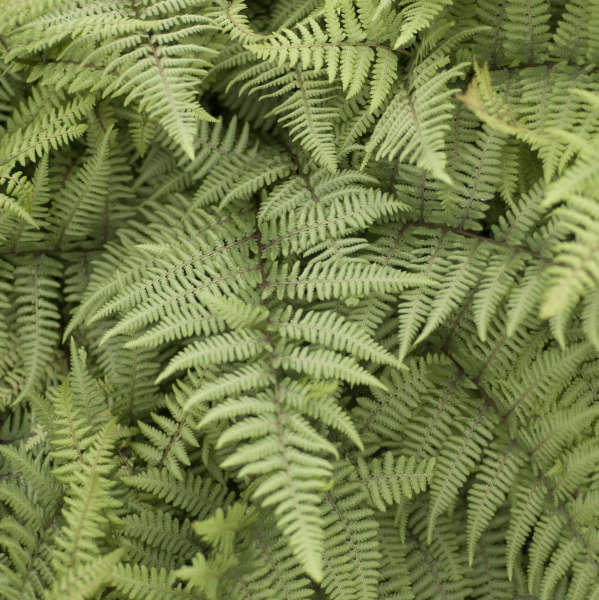 Ferns should be kept moist the entire time they are grown. 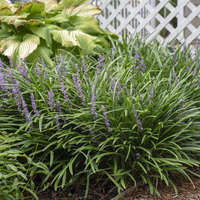 Water thoroughly when irrigation is required and allow the soil to dry slightly between waterings. 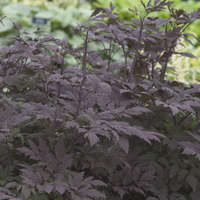 It is best to water early in the day to allow the fronds plenty of time to dry before night. Plug should be placed at same level as soil surface in the container. 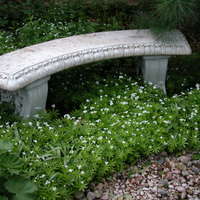 Ferns can be trimmed to control growth. Provide medium shade 50-60 percent. 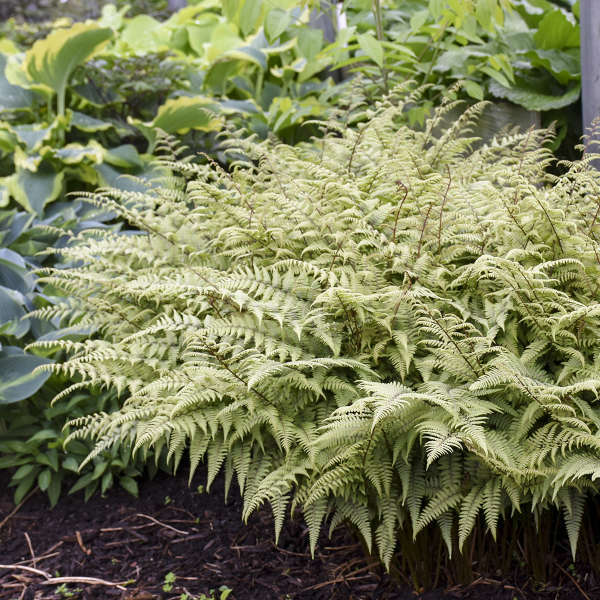 Ferns will benefit from being planted earlier than mid August, they need an adequate amount of time to become established before wintering over. Optimal temperatures for rooting are 65-70° F.